Are you one of those people who hangs his head in shame whenever we tout succulents as the easiest plants to grow? You’re not alone, trust me. 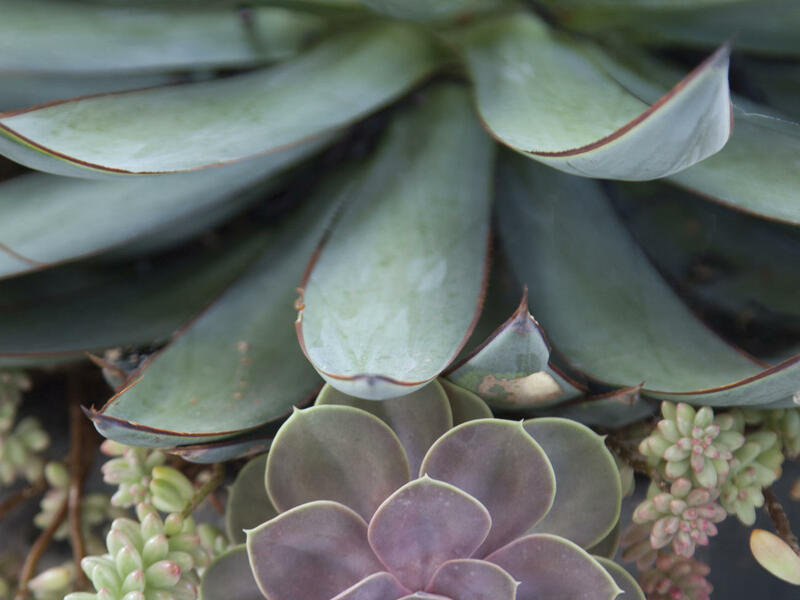 Succulents, plants adapted to survive long periods with very little water, play by their own rule book. Here are some tips to help you keep your babies alive. 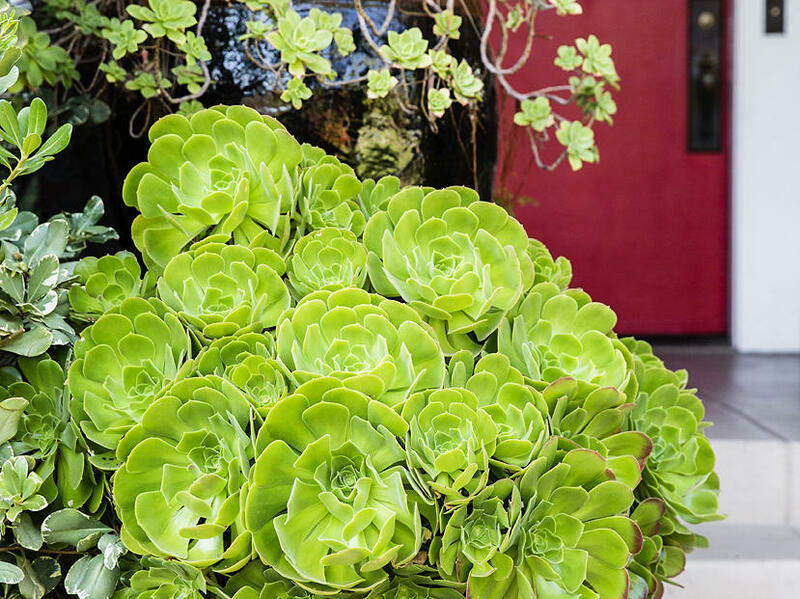 While there are a few succulent types that do well indoors (including aloe and kalanchoe), the vast majority of these plants hail from warm, arid climates and depend on good air circulation to breathe. So while that succulent terrarium looks adorable, forget about it. You’ll have way more luck keeping your plants outdoors, exposed to the elements. Despite widespread belief, most succulents do not thrive if blasted with the hottest temps and the fullest sun exposure. While they appreciate a lot of light (and very few survive in full shade), most succulents need sun protection, especially if the temperature hits the 90-degree-mark, or if they’re small. Varieties that are solid green, pale, or variegated are most in danger of sun burn. If you are planning to blast your plants with the brightest sun possible, opt for plants that are red, gray, blue, or covered densely with spines (which help to reflect the sun’s rays). Use a fast-draining cactus mix. Or, if you’re of the DIY persuasion, amend a traditional potting soil with coarse perlite, crushed lava, or pumice. A good recipe is one part amendment and four parts potting mix. 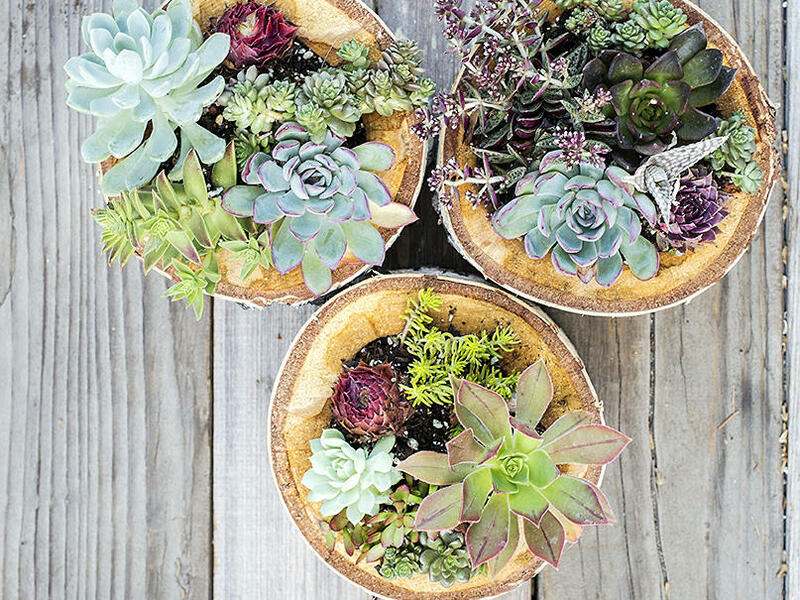 Perhaps you’ve killed your succulents by overwatering them (far more common than under-watering) which causes rot. But maybe you’ve already gotten the memo, are diligently dehydrating your plants, and wonder why they are dying. Well, newsflash-they need some water. Succulents like it when soil approaches dry before being watered. But what does this mean, you ask? It means you’ll likely be a-ok if, during dry times, if you water small pots about once a week and large pots about every two weeks. Mounding Aeonium urbicum in the foreground and a branching pretty centerpieces in pots with no drainage. But listen-you’ve got to water these compositions especially lightly. And you have to follow all of the other rules. A once-yearly feeding is enough. Use any well-balanced organic fertilizer, cut the dose in half, and feed at the beginning of the plant’s growing season for best results. 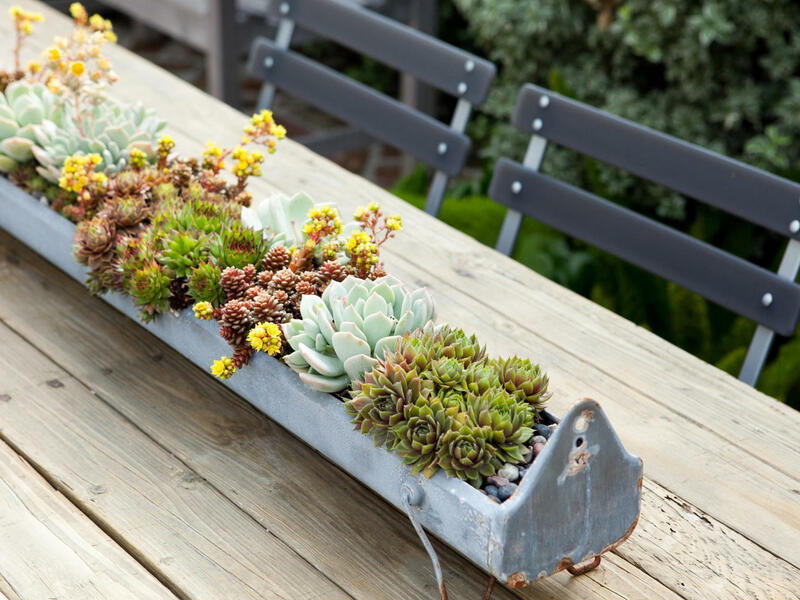 While you might be accustomed to plucking a stem of your favorite geranium, rosemary bush, or houseplant and dunking it in water to watch roots grow, that won’t work for propagating succulents. You can actually practice the exact opposite method. When you’ve got a plant you like, pluck a stem and let it dry out in the shade for at least 3 days.This process, known as healing, helps form a callus, preventing rot. Place your new stem in the soil mix mentioned above, and you should be good to go.